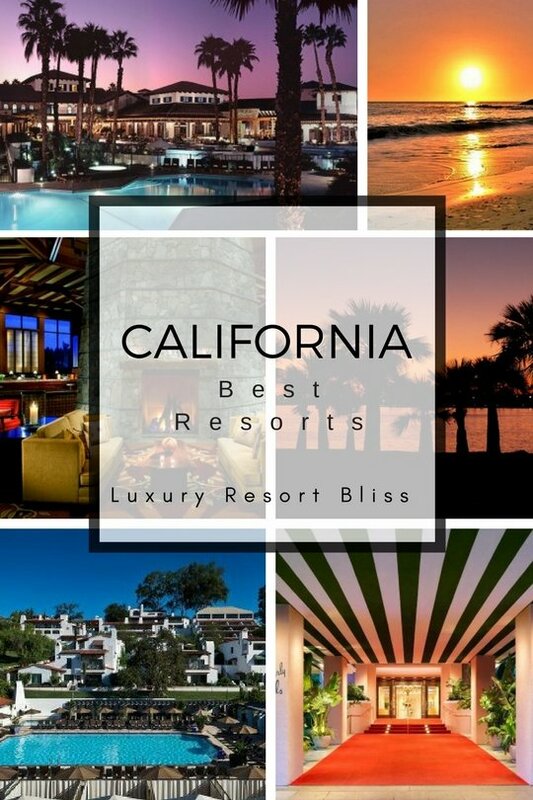 Looking for a great California luxury resort? We have found some great ones! California is very big and the great resorts are generally in areas people most often travel to. Lake Tahoe is one of the beautiful resort destinations in California. There are quite a number to choose from. If you are looking for a ski destination, check out Lake Tahoe Ski Resorts to see the great ones. The Landing Resort and Spa is one of the great resorts for all seasons and in the Heavenly Village area. Here is another favorite. The Ritz in Lake Tahoe is a beautiful luxury resort but one you can be comfortable taking your children to. 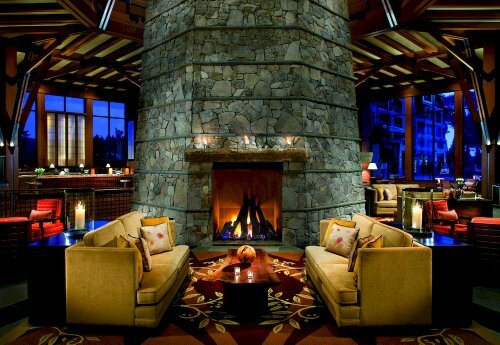 It's pure luxury, has a great spa, children's programs and ski-in / ski-out access for Northstar California. Get more information and see the latest reviews for The Ritz Lake Tahoe. See more Lake Tahoe Resorts or Lake Tahoe Ski Resorts. More information on the Ojai Valley Inn & Spa (See our review at the bottom of this page). One of the best in Southern California’and only a little south of Los Angeles on the Pacific coastline. If you are looking for a full scale resort within easy distance of the city with access to award-winning restaurants, a spa and a wonderful par-3 golf courses check this one out. There are a handful of wonderful luxury resorts in San Diego. 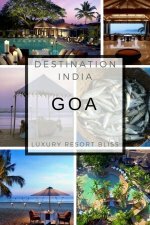 They feature great locations close to the beach or attractions in town, great golf courses and luxury spas. Close to SeaWorld and La Jolla, this resort has championship golf, a full-service spa and excellent reviews from past guests. There's a lot to do at the Torrey Pines Reserve and State Beach. 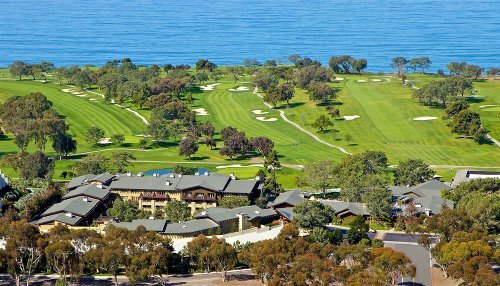 Get more information and see the latest reviews for The Lodge At Torrey Pines. See more San Diego luxury resorts. Palm Springs and Indian Wells have a number of great luxury resorts. The resorts in general score slightly under other California luxury resorts but they do have something special to offer. Palm Springs is all desert, clear skies, championship golf, great spas and family waterpark fun. A great all-rounder, Omni Rancho Las Palmas has golf, a great full-service spa, and a waterpark for the kiddies and the young-at-heart. It gets quite good reviews as well. Get more information and see the latest reviews for Omni Rancho Los Palmas. More luxury resorts in Palm Springs. Los Angeles is not really a resort destination but does have some beautiful resort-hotels that are quite similar to resorts. In Los Angeles, there is a very high standard for luxury properties and reviews are extremely good for all resorts here. 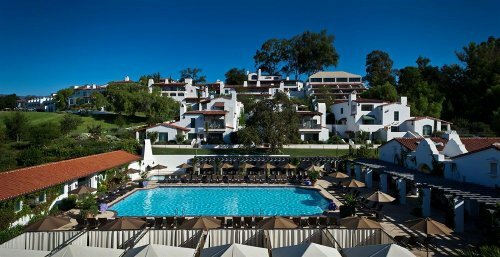 A high-class resort-hotel in Beverly Hills with a full-service spa, tennis, pool and free area shuttle. 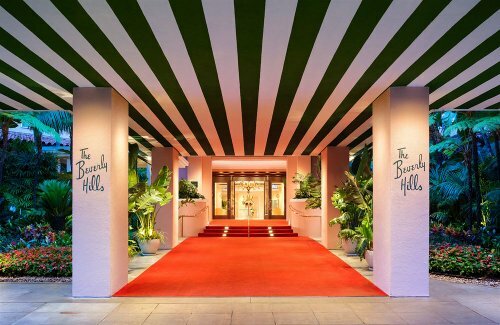 Get more information and see the latest reviews here for The Beverly Hills Hotel. See all of the luxury resorts in Los Angeles. 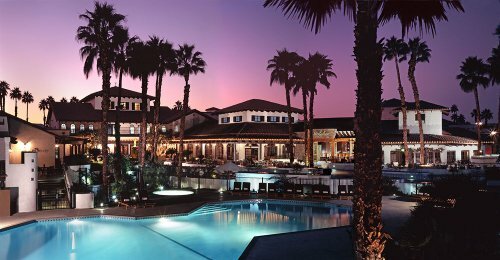 There are a great many California luxury resorts with fantastic spas. Here is just one of them. Ojai is a 5 star luxury resort in Ojai set on 220 acres. 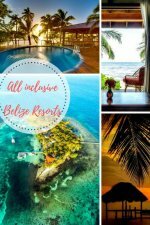 There is much to do here including championship golf, tennis (it's a top tennis resort), adults-only pool, family pool, spa and lap pools, fitness and health classes and an artist cottage and apothecary. There is also close beach access. Accommodations are made up of guestrooms, suites, exclusive spa penthouses, and more. They have luxury linens, in room pantries and more. They are also pet friendly. Reviews are excellent here with past guests saying they love that it's kid and dog friendly, love the views, and it is just a stunning property. Get more information and see the latest reviews for Ojai Valley Inn and Spa. See more great luxury spa resorts in California. For more great resort choices, visit our Resorts in California page or take a look at the menu to the right.